Watch and Learn How to Make Thai Food! Watch and learn how to make a variety of favorite Thai dishes with these fun-to-watch cooking videos.! 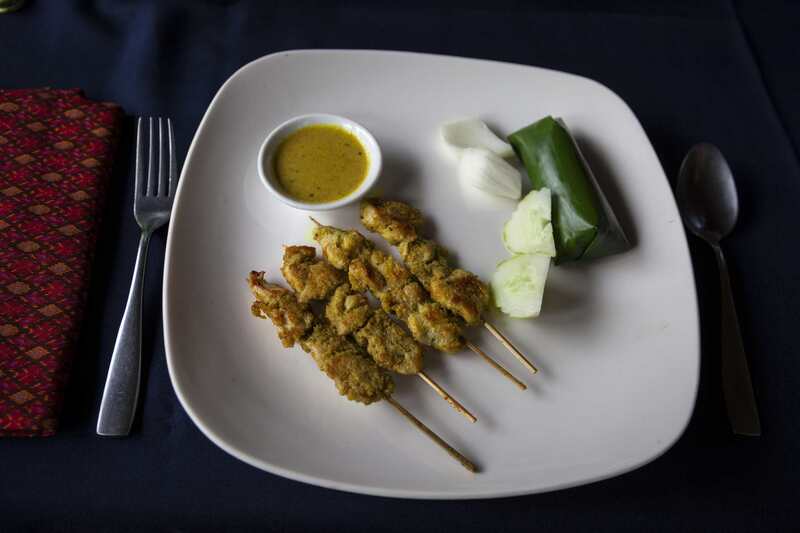 Learn how to make Thai chicken satay - great for parties or as an everyday treat! Thai Green Curry is the most popular of all Thai curries. Pad Thai is the most famous of all Thai noodle dishes. Learn how to make a quick and easy version right here. This simple Thai fusion recipe is easy and delicious! Try making fresh spring rolls at home - they're healthy and delicious! Make an easy Thai peanut sauce - goes great with the spring rolls (above) and other Thai appetizers. Learn to make a scumptious Thai salad in just a few minutes! Thai green mango salad is one of the best of all Thai salads. Give this one a look! A simple and delicious way to make fried bananas! Learn how to make the most famous of all Thai desserts! Learn how to cut and prepare fresh mango! Learn how to cut and prepare fresh papaya!